The former FDIC chairwoman, and one of the first people to acknowledge the full risk of subprime loans, offers a unique perspective on the financial crisis. Appointed by George W. Bush as the chairman of the Federal Deposit Insurance Corporation (FDIC) in 2006, Sheila Bair witnessed the origins of the financial crisis and in 2008 became—along with Hank Paulson, Ben Bernanke, and Timothy Geithner—one of the key public servants trying to repair the damage to the global economy. Bull by the Horns is her remarkable and refreshingly honest account of that contentious time and the struggle for reform that followed and continues to this day. I took a deep breath and walked into the large conference room at the Treasury Department. I was apprehensive and exhausted, having spent the entire weekend in marathon meetings with Treasury and the Fed. I felt myself start to tremble, and I hugged my thick briefing binder tightly to my chest in an effort to camouflage my nervousness. Nine men stood milling around in the room, peremptorily summoned there by Treasury Secretary Henry Paulson. Collectively, they headed financial institutions representing about $9 trillion in assets, or 70 percent of the U.S. financial system. I would be damned if I would let them see me shaking. I nodded briefly in their direction and started to make my way to the opposite side of the large polished mahogany table, where I and the rest of the government’s representatives would take our seats, facing off against the nine financial executives once the meeting began. My effort to slide around the group and escape the need for hand shaking and chitchat was foiled as Wells Fargo Chairman Richard Kovacevich quickly moved toward me. He was eager to give me an update on his bank’s acquisition of Wachovia, which, as chairman of the Federal Deposit Insurance Corporation (FDIC), I had helped facilitate. He said it was going well. The bank was ready to go to market with a big capital raise. I told him I was glad. Kovacevich could be rude and abrupt, but he and his bank were very good at managing their business and executing on deals. I had no doubt that their acquisition of Wachovia would be completed smoothly and without disruption in banking services to Wachovia’s customers, including the millions of depositors whom the FDIC insured. As we talked, out of the corner of my eye I caught Vikram Pandit looking our way. Pandit was the CEO of Citigroup, which had earlier bollixed its own attempt to buy Wachovia. There was bitterness in his eyes. He and his primary regulator, Timothy Geithner, the head of the New York Federal Reserve Bank, were angry with me for refusing to object to the Wells acquisition of Wachovia, which had derailed Pandit’s and Geithner’s plans to let Citi buy it with financial assistance from the FDIC. I had little choice. Wells was a much stronger, better-managed bank and could buy Wachovia without help from us. Wachovia was failing and certainly needed a merger partner to stabilize it, but Citi had its own problems—as I was becoming increasingly aware. The last thing the FDIC needed was two mismanaged banks merging. Paulson and Bernanke did not fault my decision to acquiesce in the Wells acquisition. They understood that I was doing my job—protecting the FDIC and the millions of depositors we insured. But Geithner just couldn’t see things from my point of view. He never could. Pandit looked nervous, and no wonder. More than any other institution represented in that room, his bank was in trouble. Frankly, I doubted that he was up to the job. He had been brought in to clean up the mess at Citi. He had gotten the job with the support of Robert Rubin, the former secretary of the Treasury who now served as Citi’s titular head. I thought Pandit had been a poor choice. He was a hedge fund manager by occupation and one with a mixed record at that. He had no experience as a commercial banker; yet now he was heading one of the biggest commercial banks in the country. Still half listening to Kovacevich, I let my gaze drift toward Kenneth Lewis, who stood awkwardly at the end of the big conference table, away from the rest of the group. Lewis, the head of the North Carolina–based Bank of America (BofA)—had never really fit in with this crowd. He was viewed somewhat as a country bumpkin by the CEOs of the big New York banks, and not completely without justification. He was a decent traditional banker, but as a deal maker, his skills were clearly wanting, as demonstrated by his recent, overpriced bids to buy Countrywide Financial, a leading originator of toxic mortgages, and Merrill Lynch, a leading packager of securities based on toxic mortgages originated by Countrywide and its ilk. His bank had been healthy going into the crisis but would now be burdened by those ill-timed, overly generous acquisitions of two of the sickest financial institutions in the country. Blankfein and Mack listened attentively to whatever it was Dimon was saying. They headed the country’s two leading investment firms, both of which were teetering on the edge. Blankfein’s Goldman Sachs was in better shape than Mack’s Morgan Stanley. Both suffered from high levels of leverage, giving them little room to maneuver as losses on their mortgage-related securities mounted. Blankfein, whose puckish charm and quick wit belied a reputation for tough, if not ruthless, business acumen, had recently secured additional capital from the legendary investor Warren Buffett. Buffett’s investment had not only brought Goldman $5 billion of much-needed capital, it had also created market confidence in the firm: if Buffett thought Goldman was a good buy, the place must be okay. Similarly, Mack, the patrician head of Morgan, had secured commitments of new capital from Mitsubishi Bank. The ability to tap into the deep pockets of this Japanese giant would probably by itself be enough to get Morgan through. At the other end of the table stood Robert Kelly, the CEO of Bank of New York (BoNY) and Ronald Logue, the CEO of State Street Corporation. I had never met Logue. Kelly I knew primarily by reputation. He was known as a conservative banker (the best kind in my book) with Canadian roots—highly competent but perhaps a bit full of himself. The institutions he and Logue headed were not nearly as large as the others—having only a few hundred billion dollars in assets—though as trust banks, they handled trillions of dollars of customers’ money. Which is why I assumed they were there, not that anyone had bothered to consult me about who should be invited. All of the invitees had been handpicked by Tim Geithner. And, as I had just learned at a prep meeting with Paulson, Ben Bernanke, the chairman of the Federal Reserve, and Geithner, the game plan for the meeting was for Hank to tell all those CEOs that they would have to accept government capital investments in their institutions, at least temporarily. Yes, it had come to that: the government of the United States, the bastion of free enterprise and private markets, was going to forcibly inject $125 billion of taxpayer money into those behemoths to make sure they all stayed afloat. Not only that, but my agency, the FDIC, had been asked to start temporarily guaranteeing their debt to make sure they had enough cash to operate, and the Fed was going to be opening up trillions of dollars’ worth of special lending programs. All that, yet we still didn’t have an effective plan to fix the unaffordable mortgages that were at the root of the crisis. The room became quiet as Hank entered, with Bernanke and Geithner in tow. We all took our seats, the bank CEOs ordered alphabetically by institution. That put Pandit and Kovacevich at the opposite ends of the table. It also put the investment bank CEOs into the “power” positions, directly across from Hank, who himself had once run Goldman Sachs. Hank began speaking. He was articulate and forceful, in stark contrast to the way he could stammer and speak in half sentences when holding a press conference or talking to Congress. I was pleasantly surprised and seeing him in his true element, I thought. He got right to the point. We were in a crisis and decisive action was needed, he said. Treasury was going to use the Troubled Asset Relief Program (TARP) to make capital investments in banks, and he wanted all of them to participate. He also alluded to the FDIC debt guarantee program, saying I would describe it later, but his main focus was the Treasury capital program. My stomach tightened. He needed to make clear that they all had to participate in both the Treasury and FDIC programs. My worst fear was that the weak banks such as Citi would use our program and the strong ones wouldn’t. In insurance parlance, this is called “adverse selection”: only the high risks pay for coverage; the strong ones that don’t need it stay out. My mind was racing: could we back out if we didn’t get 100 percent participation? Ben spoke after Hank, reinforcing his points. Then Hank turned to me to describe the FDIC program. I could hear myself speaking, walking through the mechanics of the program. We would guarantee all of their newly issued debt up to a certain limit, I said, for which we would charge a fee. The purpose of the program was to make sure that they could renew their maturing debt without paying exorbitant interest rates that would constrain their ability to lend. The whole purpose of the program was to maintain their capacity to lend to the economy. We were also going to temporarily guarantee business checking accounts without limit. Businesses had been withdrawing their large, uninsured checking accounts from small banks and putting the money into so-called too-big-to-fail institutions. That was causing problems in otherwise healthy banks that were small enough to fail. It was essential that all the big banks participate in both programs, otherwise the economics wouldn’t work. I said it again: we were expecting all the banks to participate in the FDIC programs. I looked around the table. Were they listening? Hank asked Tim to tell each bank how much capital it would accept from Treasury. He eagerly ticked down the list: $25 billion for Citigroup, Wells Fargo, and JPMorgan Chase; $15 billion for Bank of America; $10 billion for Merrill Lynch, Goldman Sachs, and Morgan Stanley; $3 billion for Bank of New York; $2 billion for State Street. Thain, whose bank was desperate for capital, was worried about restrictions on executive compensation. I couldn’t believe it. Where were the guy’s priorities? Lewis said BofA would participate and that he didn’t think the group should be discussing compensation. But then he complained that the business checking account guarantee would hurt his bank, since it had been picking up most of those accounts as they had left the smaller banks. I was surprised to hear someone ask if they could use the FDIC program without the Treasury capital program. I thought Tim was going to levitate out of his chair. “No!” he said emphatically. I watched Vikram Pandit scribbling numbers on the back of an envelope. “This is cheap capital,” he announced. I wondered what kind of calculations he needed to make to figure that out. Treasury was asking for only a 5% dividend. For Citi, of course, that was cheap; no private investor was likely to invest in Pandit’s bank. Kovacevich complained, rightfully, that his bank didn’t need $25 billion in capital. I was astonished when Hank shot back that his regulator might have something to say about whether Wells’ capital was adequate if he didn’t take the money. Dimon, always the grown-up in the room, said that he didn’t need the money but understood it was important for system stability. Blankfein and Mack echoed his sentiments. A Treasury aide distributed a terms sheet, and Paulson asked each of the CEOs to sign it, committing their institutions to accept the TARP capital. My stomach tightened again when I saw that the terms sheet referenced only the Treasury program, not the FDIC’s. (We would have to separately follow up with all of the banks to make sure they subscribed to the FDIC’s programs, which they did.) John Mack signed on the spot; the others wanted to check with their boards, but by the end of the day, they had all agreed to accept the government’s money. We publicly announced the stabilization measures on Tuesday morning. The stock market initially reacted badly, but later rebounded. “Credit spreads”—a measure of how expensive it is for financial institutions to borrow money—narrowed significantly. All the banks survived; indeed, the following year, their executives were paying themselves fat bonuses again. In retrospect, the mammoth assistance to those big institutions seemed like overkill. I never saw a good analysis to back it up. But that was a big part of the problem: lack of information. When you are in a crisis, you err on the side of doing more, because if you come up short, the consequences can be disastrous. The fact remained that with the exception of Citi, the commercial banks’ capital levels seemed to be adequate. The investment banks were in trouble, but Merrill had arranged to sell itself to BofA, and Goldman and Morgan had been able to raise new capital from private sources, with the capacity, I believed, to raise more if necessary. Without government aid, some of them might have had to forego bonuses and take losses for several quarters, but still, it seemed to me that they were strong enough to bumble through. Citi probably did need that kind of massive government assistance (indeed, it would need two more bailouts later on), but there was the rub. How much of the decision making was being driven through the prism of the special needs of that one, politically connected institution? Were we throwing trillions of dollars at all of the banks to camouflage its problems? Were the others really in danger of failing? Or were we just softening the damage to their bottom lines through cheap capital and debt guarantees? Granted, in late 2008, we were dealing with a crisis and lacked complete information. But throughout 2009, even after the financial system stabilized, we continued generous bailout policies instead of imposing discipline on profligate financial institutions by firing their managers and boards and forcing them to sell their bad assets. The system did not fall apart, so at least we were successful in that, but at what cost? We used up resources and political capital that could have been spent on other programs to help more Main Street Americans. And then there was the horrible reputational damage to the financial industry itself. It worked, but could it have been handled differently? That is the question that plagues me to this day. IN THE FOLLOWING pages, I have tried to describe for you the financial crisis and its aftermath as I saw it during my time as chairman of the Federal Deposit Insurance Corporation from June 2006 to July 2011. I have tried to explain in very basic terms the key drivers of the crisis, the flaws in our response, and the half measures we have undertaken since then to correct the problems that took our economy to the brink. I describe in detail the battles we encountered—both with our fellow regulators and with industry lobbyists—to undertake such obviously needed measures as tighter mortgage-lending standards, stronger capital requirements for financial institutions, and systematic restructuring of unaffordable mortgages before the foreclosure tsunami washed upon our shores. Many of those battles were personally painful to me, but I take some comfort that I won as many as I lost. I was the subject of accolades from many in the media and among public interest groups. I was also subject to malicious press leaks and personal attacks, and my family finances were investigated. I even received threats to my personal safety from people who took losses when we closed banks, warranting a security detail through much of my tenure at the FDIC. But I am taking the reader through it all because I want the general public to understand how difficult it is when a financial regulator tries to challenge the conventional wisdom and make decisions in defiance of industry pressure. I grew up on “Main Street” in rural Kansas. I understand—and share—the almost universal outrage over the financial mess we’re in and how we got into it. People intuitively know that bailouts are wrong and that our banking system was mismanaged and badly regulated. However, that outrage is indiscriminate and undirected. People feel disempowered—overcome with a defeatist attitude that the game is rigged in favor of the big financial institutions and that government lacks the will or the ability to do anything about it. The truth is that many people saw the crisis coming and tried to stop or curtail the excessive risk taking that was fueling the housing bubble and transforming our financial markets into gambling parlors for making outsized speculative bets through credit derivatives and so-called structured finance. But the political process, which was and continues to be heavily influenced by monied financial interests, stopped meaningful reform efforts in their tracks. Our financial system is still fragile and vulnerable to the same type of destructive behavior that led to the Great Recession. People need to understand that we are at risk of another financial crisis unless the general public more actively engages in countering the undue influence of the financial services lobby. Responsible members of the financial services industry also need to speak up in support of financial regulatory reform. All too often, the bad actors drive the regulatory process to the lowest common denominator while the good actors sit on the sidelines. That was certainly true as we struggled to tighten lending standards and raise capital requirements prior to the crisis. There were many financial institutions that did not engage in the excessive risk taking that took our financial system to the brink. Yet all members of the financial services industry were tainted by the crisis and the bailouts that followed. As I explain at the end of this book, there are concrete, commonsense steps that could be undertaken now to rein in the financial sector and impose greater accountability on those who would gamble away our economic future for the sake of a quick buck. We need to reclaim our government and demand that public officials—be they in Congress, the administration, or the regulatory community—act in the public interest, even if reforms mean lost profits for financial players who write big campaign checks. Our government is already deeply in debt because of the lost revenues and stimulus measures resulting from the Great Recession. Financially, morally, and politically, we cannot afford to let the financial sector drive us into the ditch again. I am a lifelong Republican who has spent the bulk of her career in public service. I believe I have built a reputation for common sense, independence, doing the right thing for the general public, and ignoring the special interests. Many of my positions have received editorial endorsements ranging from The Wall Street Journal to The New York Times, from the Financial Times to The Guardian to Mother Jones. My most cherished accolade during the crisis came from Time, which, in naming me to its 2008 “100 Most Influential People” list, called me “the little guy’s protector in chief.” I’ve always tried to play it down the middle and do what I think is right. I want to explain why we are where we are in this country and how we can find ways to make it better. Our current problems are as bad as anything we have faced since the Great Depression. The public is cynical and confused about what it has been told concerning the financial crisis. In this book, I have tried to help clear away the myths and half-truths about how we ran our economic engine into the ditch and how we can get our financial and regulatory system back on track. We need to reclaim control of our economic future. That is why I wrote this book. 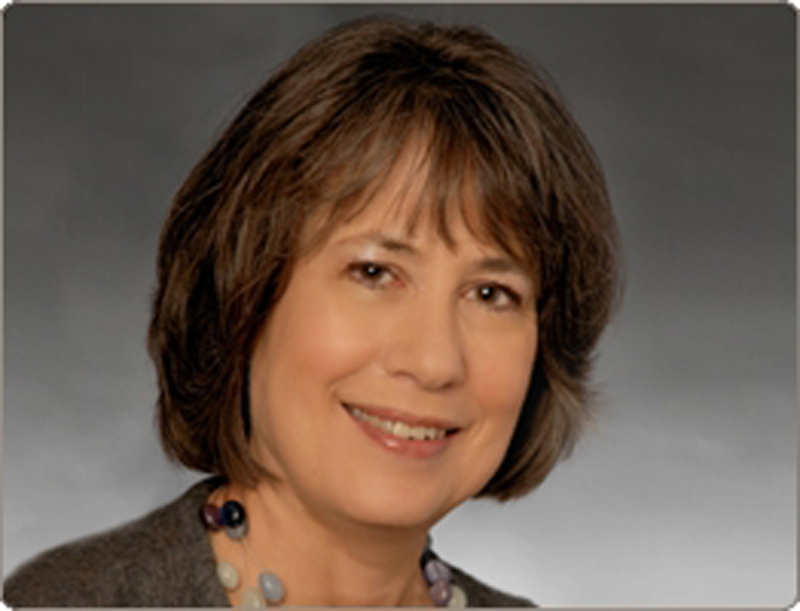 Sheila Bair is the former Chairman of the FDIC (Federal Deposit Insurance Corporation). She has been covered—and lauded—everywhere from The New Yorker to The Washington Post to The Wall Street Journal, and in 2008 and 2009 Forbes named her the second-most powerful woman in the world. Prior to assuming her post at the FDIC, Bair served as assistant secretary for financial institutions at the US Department of the Treasury and as senior vice president for government relations of the New York Stock Exchange. 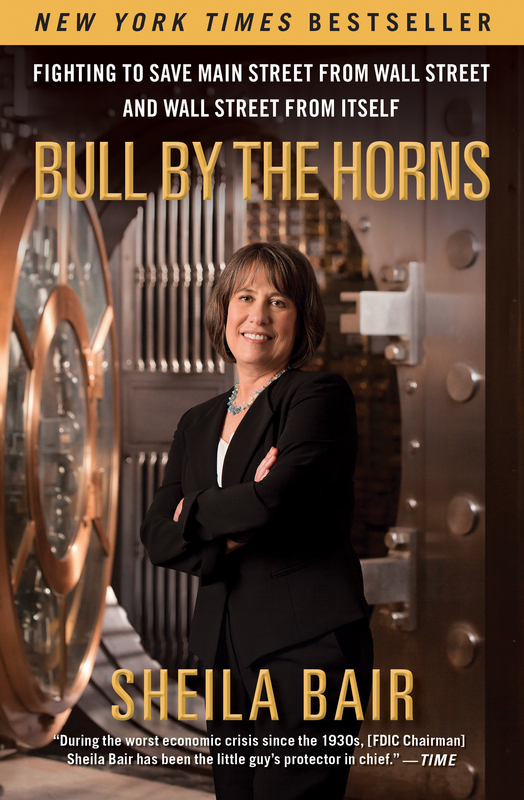 "Bull By the Horns is the story of financial calamity seen from the perspective of this public servant, rendered from detailed notes. We learn with whom she met, what was said, what decisions taken, and how things turned out….This is a book for aficionados of infuriating detail.